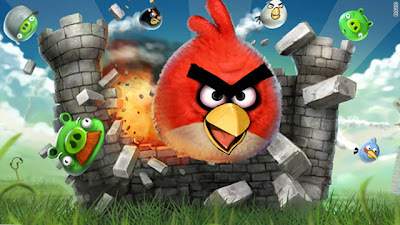 The most popular mobile platform game Angry Birds is coming to Facebook soon. Angry Birds has over 75 million downloads and counting and has popular fan following is taking a flight and soon lands on popular social networking website Facebook pretty soon, it's not exactly surprising to find that the game will be migrating to the largest social network in about a month. Finnish company Rovio has had huge success with Angry Birds over the last year and couple of months since its debut in the Apple App Store. Since its inception in December of 2009, the game has expanded from just the iPhone to the iPad, Android devices, the PlayStation Portable, and soon Windows Phone 7 devices. It even garnered a deal with Twentieth Century Fox with their latest animated film, Rio. Soon, Rovio plans to take Angry Birds into different genres, like driving. And it appears that user fatigue is not ready to set any time soon. According to Develop-online.net, Rovio studio boss Mikael Hed said that the Facebook version of the game will have "completely new aspects to it that just haven't been experienced in any other platform," and that "the pigs will have a more prominent role."